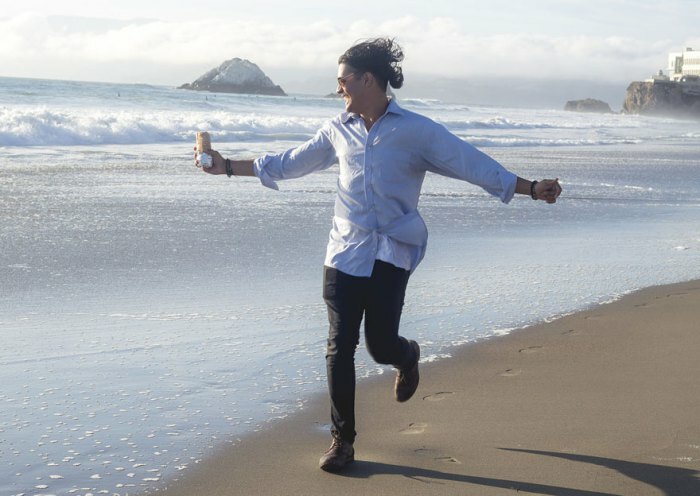 David Sikorsky was annoyed with the countless engagement and wedding photos that started to clutter his Facebook newsfeed. “I’ve reached the age where my Facebook is now filled with engagement and baby photos. Back in 2005/2006, it was filled with incriminating photos of my friends’ weekend escapades. 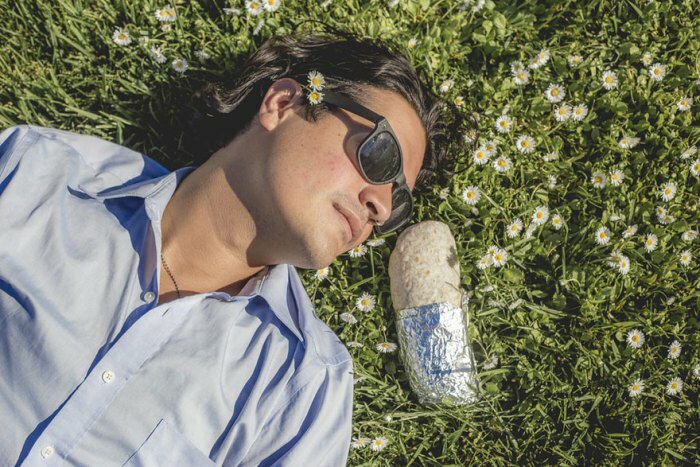 With so many domesticated photos of staged afternoon picnics in the park or holding hands running along the beach, I figured people would be interested in sharing the happiness of my own current love life situation as well.” “I already had a strong burrito love,” he continued. 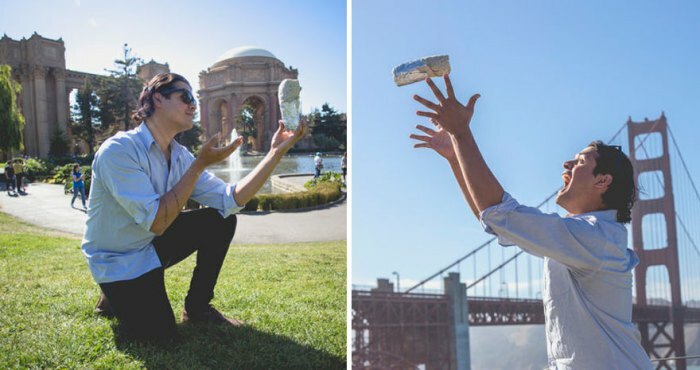 “So I called one of my music photographer friends [Kristina Bakrevski] and naturally she jumped at the idea.” With the plan fixed, Sikorsky, with burrito in hand, hit the streets and various locations of San Fran for a series of romantic engagement photos. They also had a champagne picnic.